Market experts or analysts are good at making predictions about the market. In fact, most of them always accurately predict the direction in which the market would move in the future. However, when it comes to trading their own funds, they often end up putting a miserable performance. The reason behind this is pretty simple. It’s their trading psyche that gets in their way of earning profits. In this article, find out why analysts don’t make the best forex traders. Why do Forex Analysts fail at Trading? Successful trading is all about adopting the right emotional strategy or approach. Trading isn’t limited to analyzing of charts or keeping track of the latest news and updates. It is incredibly complex in nature and requires consistent strategizing, market research and above all, discipline. Traders must have control over their psychology and emotions for profitable trading. When you are attached to your trade position, then making an accurate and unbiased analysis can be extremely difficult. This is precisely why market analysts don’t consider trading themselves. The moment they put their trading technique to test and find their theories materializing right in front of them, their objectivity is lost. 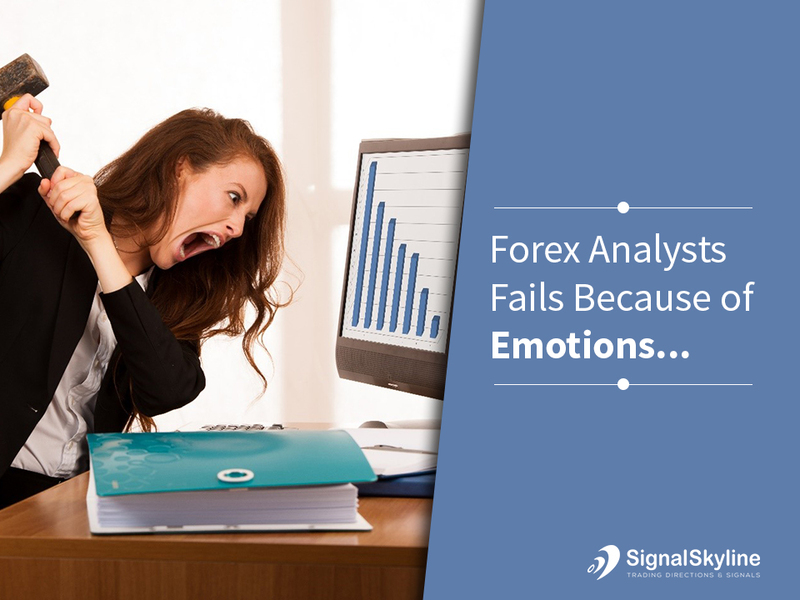 Somewhere, they start experiencing emotional issues, and their psychology fluctuates as and when the forex market moves up or down. In rare cases, traders find their ego expanding. However, in most of the cases, it gets bruised or distracts them from their goal. While it is difficult to measure how earning profits or incurring losses affects one’s psyche, it definitely impacts every trader in a different manner. However, any decision one makes will always be clouded after you achieve success or endure losses. This implies that any strategy/technique that you had once been positive about could suddenly go wrong when you have doubts, greed or fear in mind. For instance, a portfolio manager is responsible for designing a strategy/technique that offers maximum returns to the investors. However, this is a highly complex procedure and requires a great deal of effort at every step of the process of trading. This is why firms that manage investment look at dividing the task as well delegate. Typically, an analyst studies the forex market as well as evaluates the impact of multiple investment opportunities. Furthermore, a risk manager steps in to assist in matters related to diversification of trade as well as sizing. Lastly, a forex trader implements the strategy on their as well as the investor’s behalf. Hence, the portfolio and risk managers are detached from implementing or executing the trades. This retains the integrity of their investment methodology, and their probability of failure by emotional attachment is minimized. Traders can improve their trades by becoming their own investment managers. In fact, they can use a number of strategies to minimize their losses in the market. For instance, they can keep their risk at the minimum level by opting for a trade size that would easily survive their worst predictions. In other words, traders can prepare themselves for a worst case scenario and include a stop-loss limit in their plan. It is equally important that traders set a precise target and utilize Take Profits orders for automating the trading process. Traders can always place their trades and move further. They can look for other things or opportunities to distract themselves. Besides, they must also set pricing alerts on their MT4 account. This way they can keep themselves informed and not get emotional about their trades. Traders must be quick and flexible in their decisions as what seemed valid during the planning stage, may not necessarily be appropriate or valid after a major news announcement or development. Finally, the trader must never think that failure is permanent or personal. 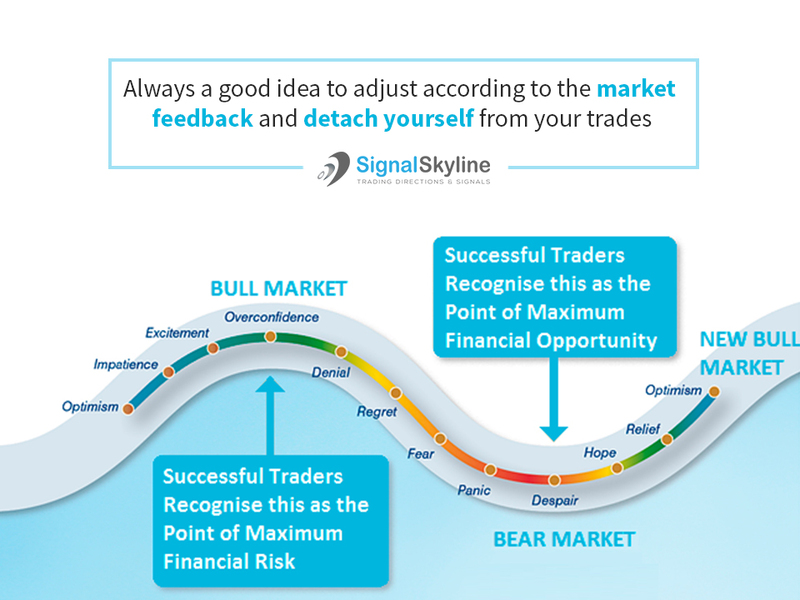 It is always a good idea to adjust according to the market feedback and detach yourself from your trades. This would ensure success in the long run.